There are people who love reading more than watching motion pictures or adaptations. Reading a book is very detailed and clear whereas adaptations are amended and in the case of Fifty Shades of Grey, censored. It is important that we get a clear picture of things so it is better to read the books rather than rely on adaptations. If we watch adaptations, we miss the opportunity to enrich our mind and our soul. When we read, we are taken to different depths and dimensions. Reading is fulfilling and for the bookworm inside us, we will be happy to know that there will be a new book by author EL James. If we are into her genre, she confirmed on June 1 that she wrote a new ‘Fifty Shades of Frey’ novel. 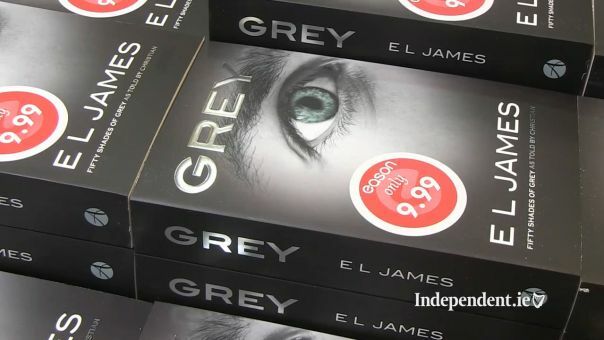 It has been more than three years since the last book of ‘Fifty Shades’ was released. She revealed that the book will be simply named ‘Grey’. It is from Christian Grey’s point of view. 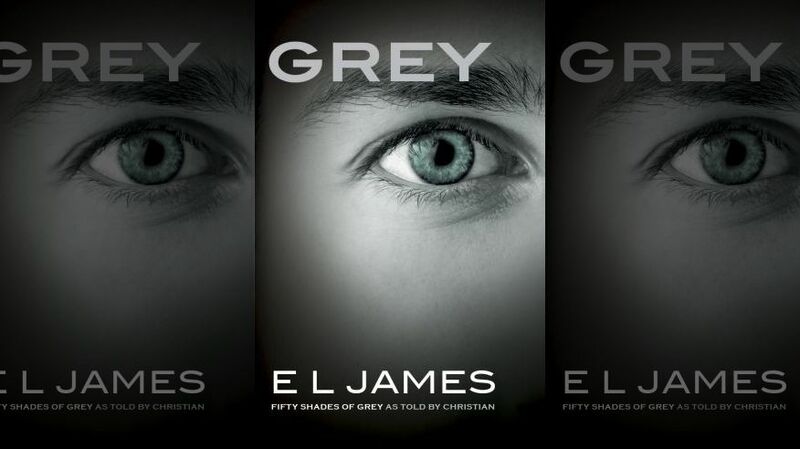 Many Christian Grey fans are clamouring because they will now know what Christian is thinking. ‘Grey’ will be released on June 18, 2015. This date is meaningful because it is his birthday. 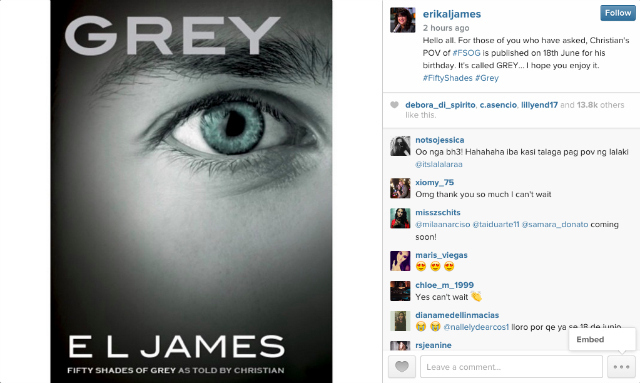 There are no reports yet whether ‘Grey’ will include some of his perspective about the first book or the three books. Regardless, fans are undeniably overjoyed about the news. For fans here in Singapore, let us patiently wait for the book and see what Christian Grey has to say. If we did not get a chance to read the second and the third book (Fifty Shades Darker and Fifty Shades Freed), there’s still time to read it.